“When I was asked to think about this blog post, I’ve been reminded of how far I’ve come in just four years. I didn’t really know what I wanted to do when I was completing my A-levels, and now I’m about to move 150 miles from my home in Nottinghamshire to take more responsibility on Winvic’s latest student accommodation project in Colchester. After speaking to a couple of people working in construction, it seemed like an interesting path – different tasks every day, various sizes of projects, a range of sectors – and I applied for apprenticeships where I could gain relevant qualifications. “I was lucky enough to study for a BTEC National in Construction Management with a large firm and, as I learned various aspects of the industry, I was attracted to quantity surveying. I moved into a QS role from doing more general management and was broadly happy, but a friend who was working for Winvic – Sam Harrington – kept telling me what a brilliant company it was. I could see he had progressed, was supported and that if you worked hard at Winvic, you were rewarded with the opportunity to take on responsibility and progress. I really wanted to work for a company like that and I can now say, eight months later, joining Winvic was definitely the correct move for my career. It’s like the opportunities at Winvic are endless as people will trust you and give you more and more responsibility if you demonstrate that you are capable and hungry to develop. “The time has flown by and the support and guidance they offer through their in-house training programmes is brilliant. This involves regular reviews and meetings to ensure that I am being exposed to the right projects and packages to further develop my skills and abilities as an Assistant Quantity Surveyor. The friendliness of staff, the shared focus on delivery, the high value projects and ‘The Winvic Way’ of working with subcontractors and clients make the job really enjoyable. 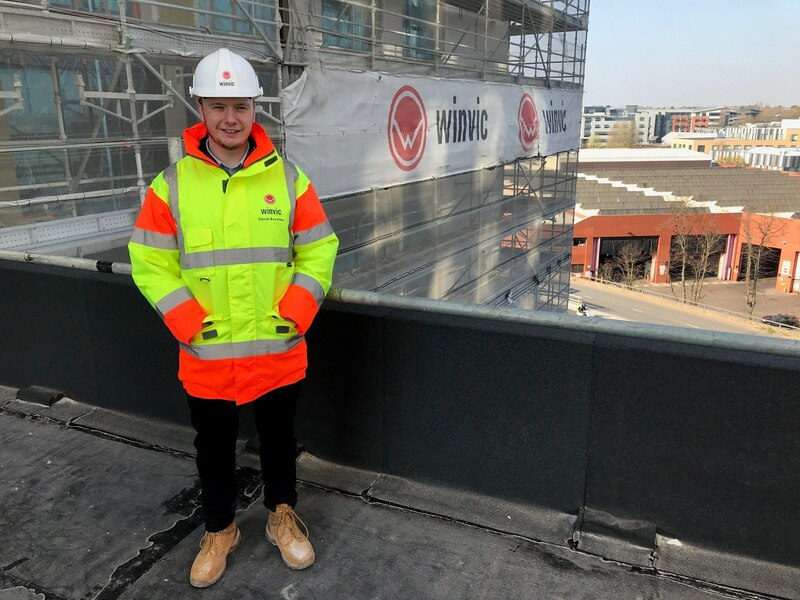 “I’ve loved working on Fairfax Street – a 1192 bedroom student accommodation scheme that is now the tallest building in Coventry – and I’m really excited to be able to work on a project – Magdalen Street in Colchester – from the very start, in April. I feel there is more variety of work for a QS to do on a multi-room project and that’s a more interesting challenge to me. I’m currently focussing on early procurement – groundworks, piling, steel frame, key variations – and I’ll continue to obtain prices and negotiate contracts through to the stage where we fit-out the rooms and hand the project over. Read what some of our other apprentices – Laura Higgs and Tom Parr – have said, and learn more about our apprenticeship opportunities by download our Joining The Winvic Team brochure. To take the first step towards your new career with Winvic get in touch with Rebecca Schwarz in our HR department on rebeccaschwarz@winvic.co.uk or 01604 678 960.